This Has Gone Beyond My Expectations. I've been looking for good sports animes, but this has gone beyond my expectations. Never in a game was I bored, and for the whole entire show, I was on the edge of my seat, wanting more! As the show progresses, you see how the characters grow and develop, and you fall in love with all the characters, even the rivals. When they played, I wanted both teams to win, and when the crowds were cheering, I chanted along! I was crying and laughing throughout the show. 11/10 would recommend. Can't wait for more!! I started watching this just to waste some time, but this has turned into probably my all time favorite sports anime. No one on the team feels like they don't need to be there, and there's way more character development for a seemingly minor character than you would expect. And the end of the match for the 3rd season literally gave me chills, it was animated and expressed so brilliantly. SPELL THE BEST SPORT ANIME EVER H-A-I-K-Y-U! I don't even know where to begin with this, awesome is not even enough to describe this anime really. I have watched sports anime before, even as a kid. I grew up watching Slam dunk, but after that no sport anime ever came close to being worth watching, not until I gave this anime a try. It didn't just came close to it, It surpasses all sports anime ever made. The main guy? Hinata Shoyo, is just amazing. Two thumbs up for the mangaka for incredible work. All the characters were all well made. No boring episode. Shoyo still gives me chills every time. Amazing even if you're not into sports anime! Memorable characters, realistic struggles (but with the epic thrills expected of a shounen), and amazing sound + visuals. Do yourself a favor and watch it right now. I was always really put off by sports anime for some reason, probably because I thought that any anime about such an ordinary topic was bound to be stupid and over-dramatic. But recently, I was running out of anime that fit all the narrow-minded criteria I had in mind, so I was scrolling down the list of anime on Crunchyroll and decided to give Haikyuu!! a go. I laughed my way through the first episode because it felt over-the-top as I predicted, and I only clicked on the next episode because of the cliffhanger they set up at the end (eternal rivalry denied). I'm so glad I decided to start watching, because once I did I couldn't stop. Haikyuu!! shattered any preconceptions I had about sports anime, because it's so realistic and unpredictable, but also uplifting and epic like any other standard battle shounen. I actually came to appreciate Haikyuu!! even more than those, because it realistically showed moments when the protagonists messed up. It set up its stakes properly, so that the main characters aren't always in a do-or-die situation and protected in 1000 layers of plot armor. Because its a sports anime, and because it's realistic, Haikyuu!! is stunning. I love the story and the characters of this anime; Some characters I love more than others. This anime showed me that dreams have no boundaries and that we have to work hard in order to make them come true. The friendship, the team members of Karasuo have is beautiful; They look out for their team-mates, support each other and they encourage each other to improve. This was a brilliant anime. I think that it has amazing animations, a nice soundtrack and the way, the show presents volleyball is really good. 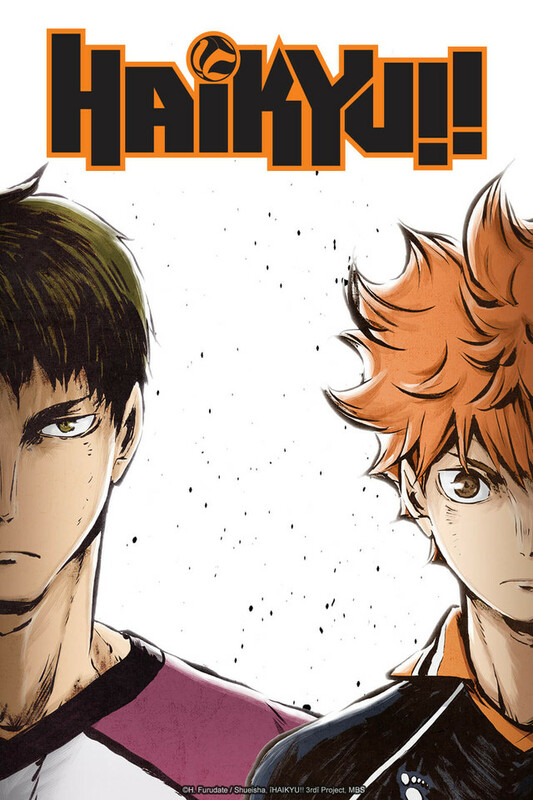 I personally did not know anything about volleyball, yet I fell in love with this series. The characters personality is deeply explained, with stories about their past. I like how there are no real "bad guys" just the opposite team. You will definitely like this anime.